Don't forget to have your scuba regulators serviced this year. Taking care of your equipment is important in any sport. Taking care of your diving gear is especially important because it is life support equipment. And your scuba regulator is the heart of the system. Having your first stage, second stage and octopus units serviced once a year means that you can always count on the dive regulator being ready to go and working properly. We service nearly any brand of diving regulators, including the major brands: Apeks, Apollo, Aqua Lung, Atomic, Boss, Cressi, Dacor, Dive Perfect, Dive Rite, Edge, Genesis, Halcyon, HOG, Hollis, IST, Mares, Mirage, Ocean Design, Oceanic, OMS, Performance Scuba, Poseidon, Scubapro, Sea Hornet, Seac Sub, SeaQuest, Sherwood, Subgear, Tusa, US Divers, XS Scuba and Zeagle. Please remember that an integrated extra second stage regulator on your BCD (i.e. inflator octopus) is really part of your air delivery system and should be serviced accordingly. Scuba Doctor Service and RepairsOur scuba technicians are fully trained and manufacturer approved, with many years of experience behind them. This high level of training and experience ensures you the highest of standards of dive regulator servicing and reliability. An ongoing dialogue and interaction with the manufacturers also guarantees we only ever use the most up to date procedures. 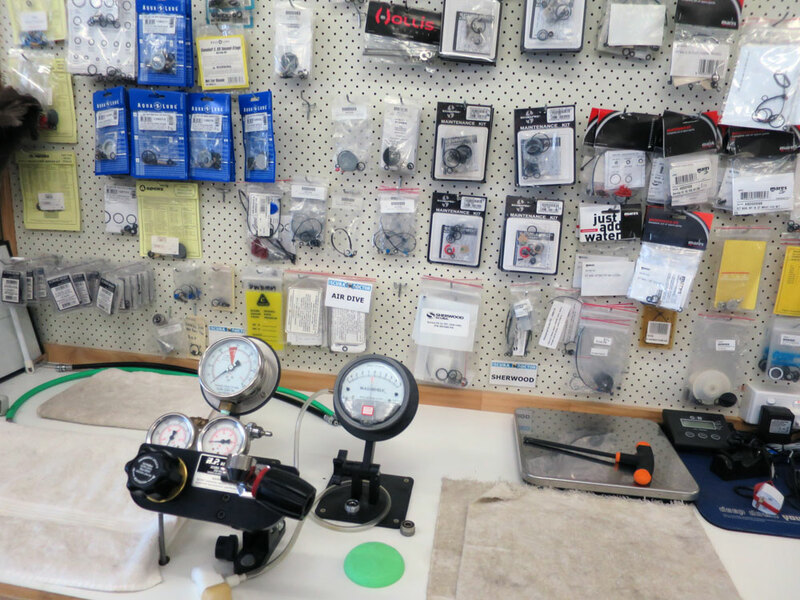 At Scuba Doctor Service and Repairs, we do each regulator as if it were our own personal regulator. We will only do an overhaul one way — the right way — and pride ourselves on not taking any short cuts. We do not just change the filter, clean the hoses and adjust the breathing and call that an "overhaul". This is a major problem in the dive industry. We are working hard to make sure that scuba divers can have their regulators overhauled the way the manufacturer intended it to be done. As modern scuba equipment performance levels are increased and breathing performance improved the specifics (and equipment) required to service them correctly increases. 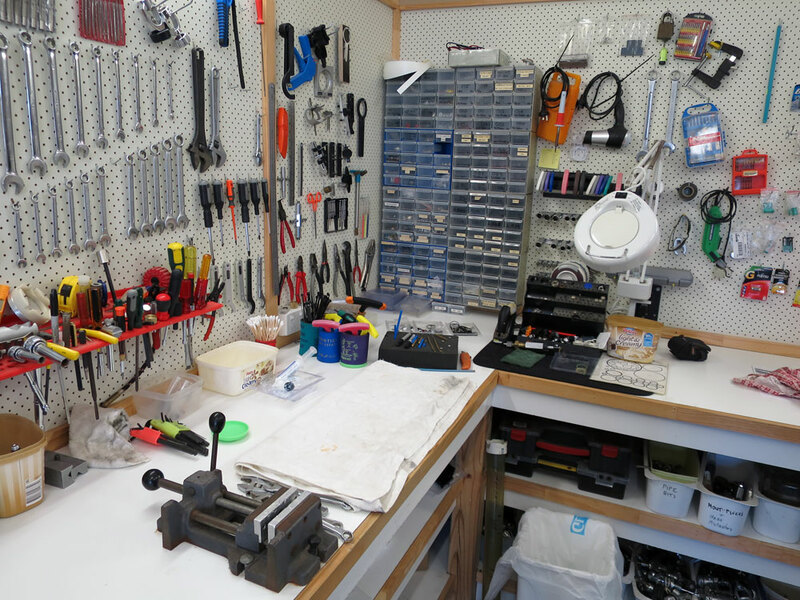 Here at Scuba Doctor Service and Repairs we are fully authorised and approved for all of the scuba equipment servicing we offer, and as such we only ever use official manufacturer supplied parts and test procedures. 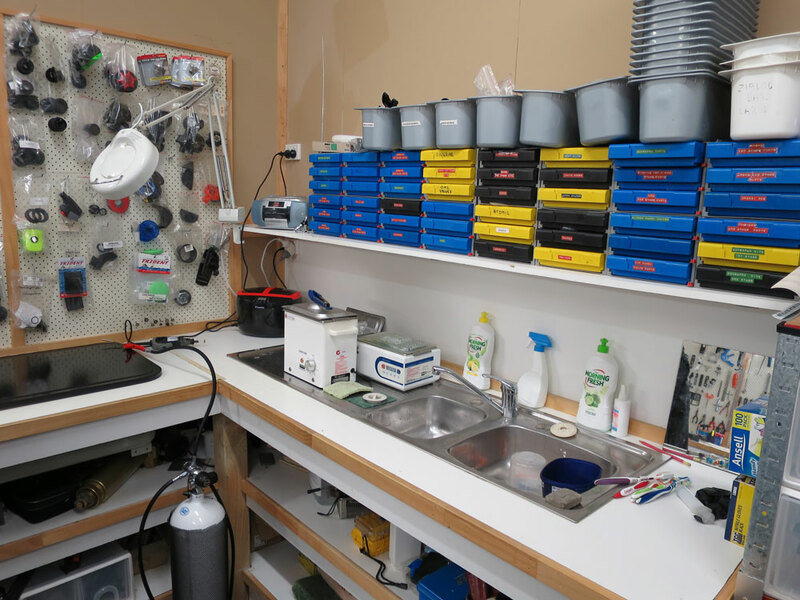 WorkstationWe have made a huge investment to ensure we have absolutely everything that a modern scuba equipment servicing facility should have, in order to offer the best quality of service. Almost every regulator manufacturer, and even each reg within a brand, now requires specialist tools in order to be able to safely strip, re-assemble and then set them up correctly. 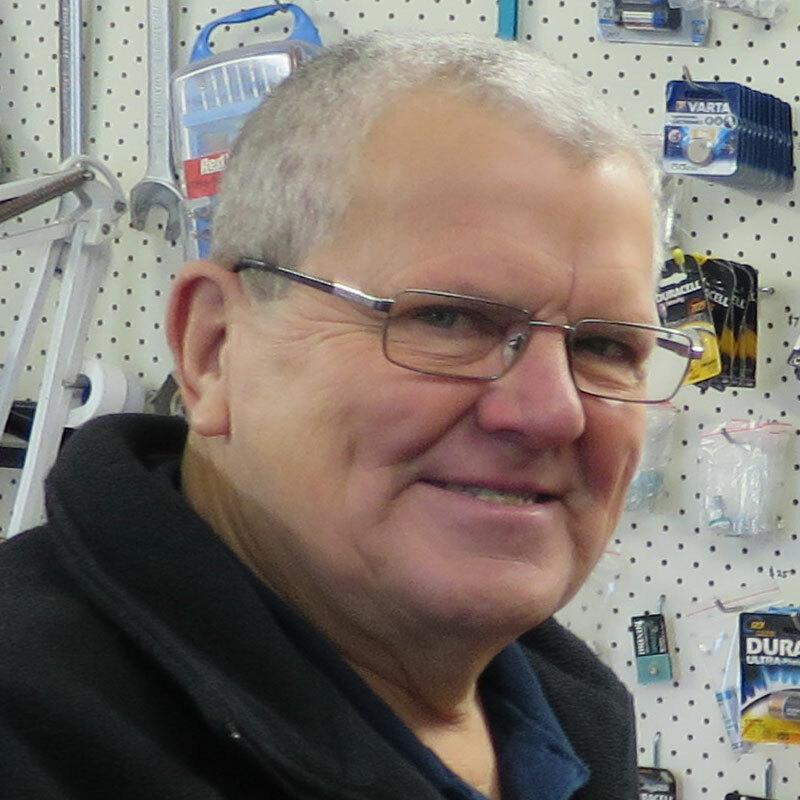 We have invested heavily in these specialist tools, which are only available to fully authorised scuba service centres, in order to guarantee service quality and correct set up. During a regulator overhaul at Scuba Doctor Service and Repairs, your unit is taken apart into its component parts. This is for the main regulator first and second stages, octopus unit, inflation hose (for BC) and pressure gauge. Cleaning StationAll the parts are then cleaned, de-greased and de-scaled ultrasonically. Each part is fully inspected for defects and wear indications that may cause problems for you later on. O-rings are automatically changed even if they don't show deterioration. Most regulator manufacturers offer kits containing each of the O-rings and other parts commonly replaced at each annual overhaul. Once the strip and clean phase is complete all equipment is laid out ready to be re-assembled. During the assembly phase metal threads and O-rings are lubricated and special tools are used to reinsert the tiny pieces. Coaxing O-rings into place requires patience and a steady hand. 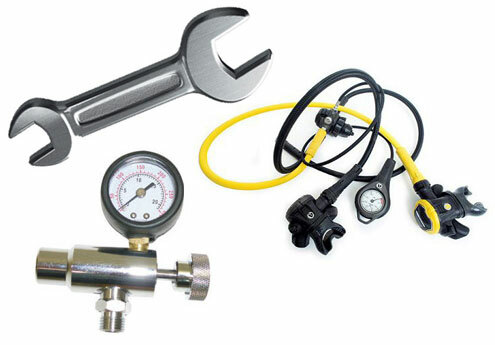 Regulator Testing StationYour scuba regulator equipment is then set up in line with manufacturer guidelines and tested using our sophisticated test system. This test system enables us to check and fine tune the scuba equipment to peak efficiency and test to ensure it is performing at its optimal level when in use. Each of the pressures is adjusted so that the regulator breathes easily but doesn’t free flow. When the regulator overhaul is finished, your regulator will be like new. Together with most manufacturers, Scuba Doctor Service and Repairs recommends that you have your dive regulators overhauled every year or every 40 dives, whichever comes first. It cannot be assumed that a diving regulator is in good working order on the basis that it has received little use since it was last serviced. Remember that prolonged or improper storage can still result in internal corrosion and/or deterioration of O-ring seals. Chlorinated swimming pool water is an especially damaging environment for scuba equipment, due to the high levels of chlorine and pH balancing chemicals which cause certain components to rapidly deteriorate. Similarly, the water found at many Australian cave diving sites is also damaging to scuba gear. If you want Scuba Doctor Service and Repairs to service your scuba regulator, please plan ahead. Many people only think about having their annual regulator overhaul done a few days before they want to use the regulator. Thus we tend to get most overhauls in the peak of Summer as people decide to go diving. A better time would be in Autumn, just before that great Winter dive vacation, or in Spring as you start to think about the local dive season. This is also a good time to get your BCD Servicing, Scuba Cylinder Tested, or your Dive Computer Battery Changed. Then your dive gear is ready to go when you want to use it. Please keep this in mind as you make plans. If you need some advice or information on regulator overhauls or other scuba equipment service and repairs, please feel free to Contact Us. We'll be glad to help. To ensure that your regulator performs well between overhauls, please read and follow our Regulator Care Guide. Need a new dive regulator? Take a look at the new regulator sets we have available in our dive shop. People who live in glass houses get very hot in summer.